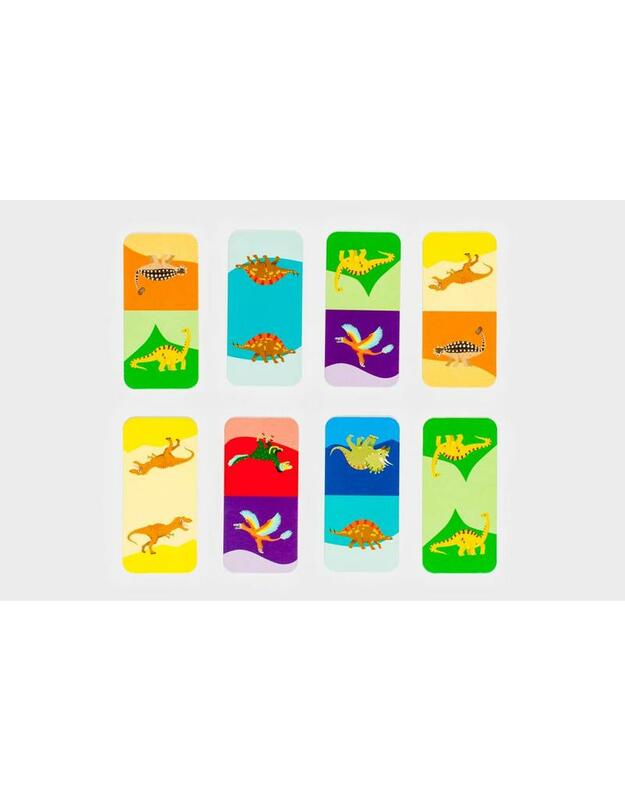 This game is for two to four players and contains 28 cute and colourful dino dominoes. 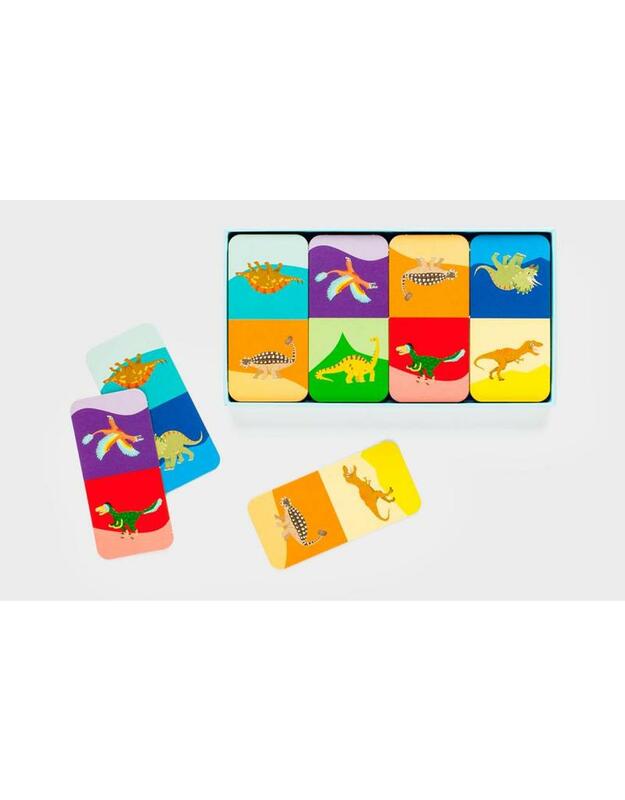 Have fun matching seven prehistoric critters. 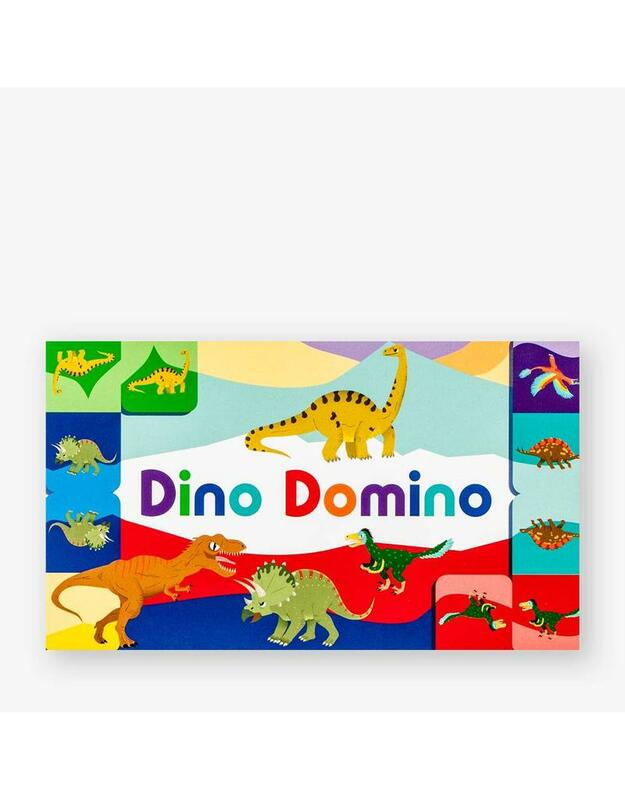 Be the first to play your last domino to win the game and become T-rex! The dominoes come in an attractive sliding box with cute, quirky illustrations by Caroline Selmes.